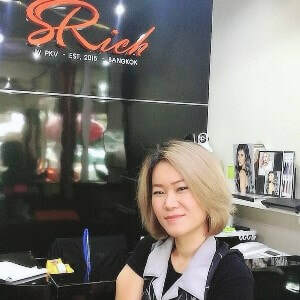 S-Rich Hair Salon in the Ari area, opened its doors in March of 2015. 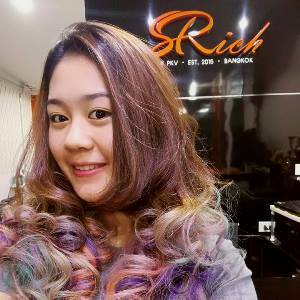 The salon was and is a long time dream of its owner, Pattamol Kaewken, to provide quality and professional salon services to its customers. 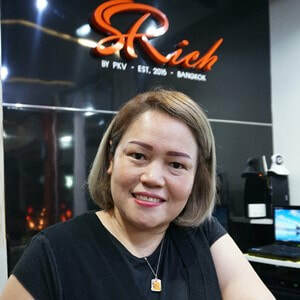 In that effort, she has chosen quality, proven products from around the world to make the customers experience at her salon an exceptional one. 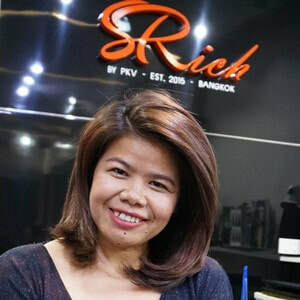 Through the use of these premium products and her knowledgeable staff, the customers visit to S-Rich Hair Salon will prove to be one of great satisfaction, both with the time spent there and the hair treatment and styling they receive. We look forward to seeing you soon at our salon and please visit our Facebook page as well.